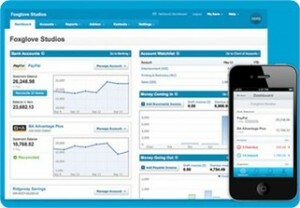 Go to Xero TV, click here for demos! Bringing more heads to your books is easy with Xero. Just give us access and we can log in, look at your numbers and give you advice whenever you want us to. Perfect for spotting opportunities and nipping problems in the bud. 3. RECONCILE FROM ANYWHERE Xero receives your bank statements automatically via a secure connection, making it a breeze to reconcile and gain a complete and up-to-date snapshot of your business from the breakfast table to your favourite coffee shop. And if something doesn’t look right, leave a comment. We’ll log in and give you a quick health check. Being an accounting and payroll solution in one, Xero turns the old days of manual entry on its head. Super payments and tax updates are automatic, plus a special portal gives you a complete snapshot of your payroll and leave. Employees can also be provided limited access which lets them log their hours worked and expense claims or just to view their payslips. Login and send an invoice the minute a job is done. You get notified when your customer opens the invoice, and he or she can pay you online right away. And we know that staying on top of your old invoices is hard work. So we can check in from time to time and make sure you’re getting paid as much and as fast as you deserve. Ready to give Xero a go? Want more information on how Xero can work for you?